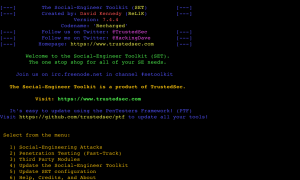 Browse: Home / The Social-Engineer Toolkit (SET) v7.4.4 Codename: ‘recharged’. 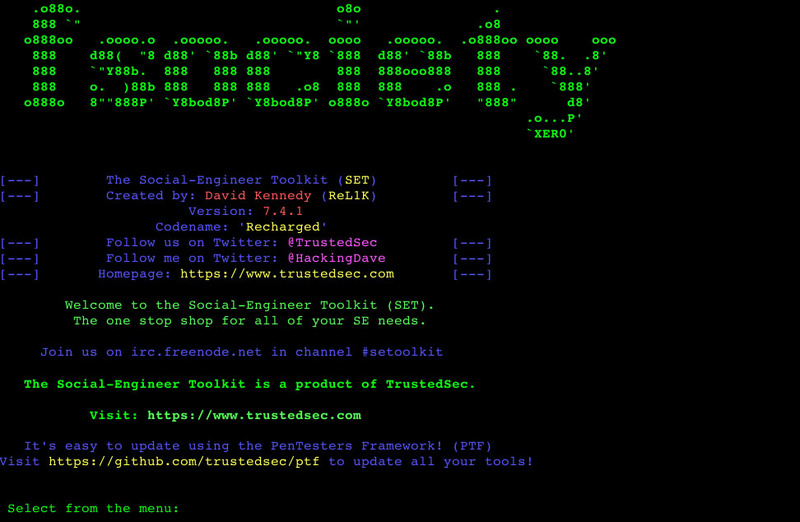 The Social-Engineer Toolkit (SET) v7.4.4 Codename: ‘recharged’. 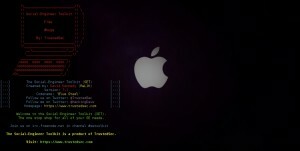 DISCLAIMER: This is only for testing purposes and can only be used where strict consent has been given. 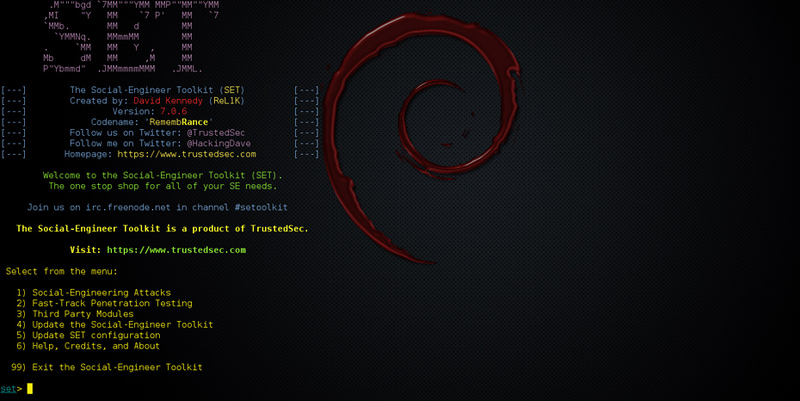 Do not use this for illegal purposes, period. 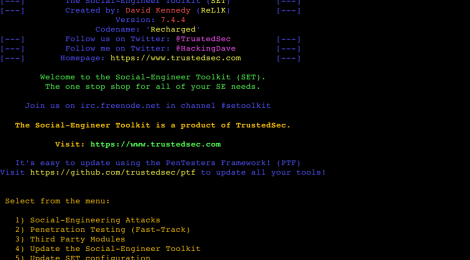 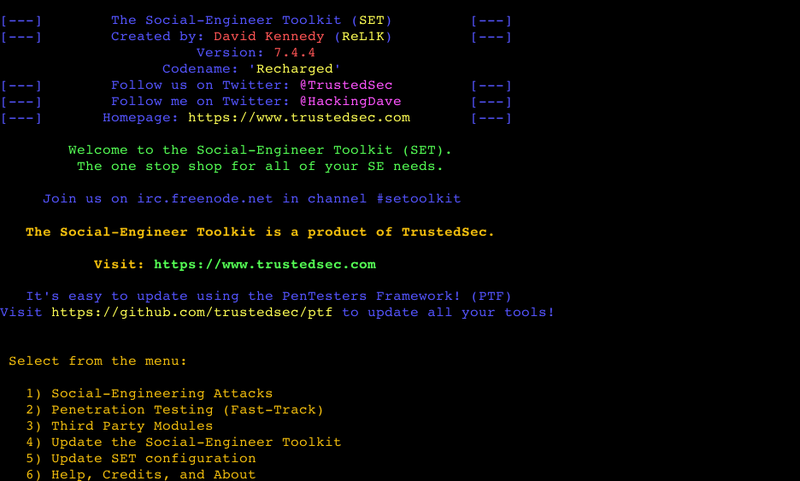 The Social-Engineer Toolkit is an open-source penetration testing framework designed for social engineering. 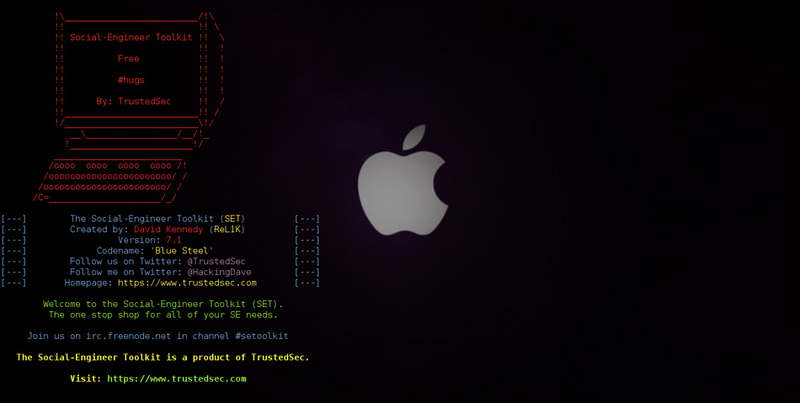 SET has a number of custom attack vectors that allow you to make a believable attack quickly. 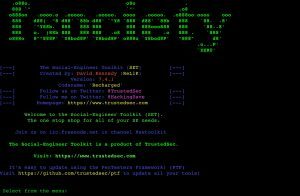 SET is a product of TrustedSec, LLC – an information security consulting firm located in Cleveland, Ohio. 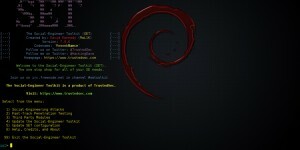 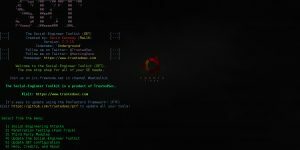 ← ps-inject is a Inject shellcode on linux pid.